Harley-Davidson’s new Roadster isn’t a sportsbike in the modern sense, but it is fun in the twisties and offers a ‘good fun’ level of performance. For decades riders have been putting huge efforts into making Sportsters, well, sporty. Switching out too-soft front ends, upgrading non-adjustable shocks, reducing weight and increasing performance, the café racer set has always had a love-hate relationship with the Sportster – loving its style and feel, hating its performance and handling. Harley’s trying to fix that with the Roadster. With probably the best set of forks ever fitted to a stock Harley, a modern twin-disc front brake set-up and handlebars which encourage spirited riding, Harley’s got much of the formula right. The Motor Company also added a 12.5 litre tank (from the Iron 883), which is much bigger than the tiny peanut tanks on some other sportsters, so range is better, a café-style seat, wide ’bars and a wheel & tyre combo which suits the brief, too. Up front is a single circular instrument pod with analogue tacho and lots of info on the digital lower section. The engine hasn’t received the same treatment though, it’s the same 1200cc V-Twin we’ve been thrashing for a while now, and in the upgraded chassis and running gear it feels even slower, although there’s plenty of scope for improvement. There’s a new exhaust coming which will help it breathe and make it sound like it should, and there’s a plethora of other options to extract more performance from the air-cooled 45-degree V-Twin, including a $3000 Screamin’ Eagle performance kit which includes barrels, heads and cams. The Sportster is a 16.5 model, that is a late release for the year – the company is making a bit of habit of this, releasing a few new bikes mid-cycle to keep us on our toes. Priced at under 20K, the Roadster probably offers more fun per dollar than any other Harley. It’s a lot more fun and far more capable than any other Sportster, and actually shouldn’t crib sales from other models too badly – nothing else in the range really comes close. Indeed, Harley hopes to attract riders who previously wouldn’t have considered a machine from America’s dominant motorcycle manufacturer, and the marketing is aimed at younger riders – those in the 20s. As such, it’s part of Harley-Davidson’s Dark Custom line – bikes literally designed to be modified to the owners’ desires. A little surprisingly the Roadster runs a 19-inch from wheel, a more traditional sporting size rather than the 17-inch sporting rubber on nearly every other brand of bike since the 1980s. The tyres are mounted on unique wheels, cast units with ten pairs of spokes, alternately mounting from the hub to the outer edge of the rim. They look fantastic; it’s a shame in some ways Harley-Davidson painted them black. The tall wheel with skinny tyre was definitely the right choice. Sure, a smaller wheel might give sharper steering, but the Roadster isn’t aimed at racetracks, it’s aimed at twisty coast roads and Californian Canyons, where stability and predictability are more important than flickability. The changes have increased cornering clearance, but not enough. The footpegs themselves stick out a long way and are positioned perfectly to damage shins when your feet are down, at least partly because the lean-forward riding position means you want to put your feet down in front of the pegs – but you can’t, they are too far forward, because they’re in the same relative place as they are on most other Sportsters. So you’re forced to put your legs behind the pegs, where there isn’t enough room and your shins cop a flogging, at least until you get used to the problem. On the move though the pegs feel good, not too high and not too low – but they might feel a little too far forward for some. I found myself using the rear pegs occasionally on the highway to give myself a break. Anyone wanting to build a cafe racer out of a Roadster will be looking to move the pegs south. Harley’s brakes have never been cutting edge, but those fitted to the Roadster have stepped it up a notch. Twin discs mean you can brake later than ever (and on Australian-spec bikes ABS is standard), although you have to remember it is no lightweight cafe racer – if you want one of those, take a Yamaha SR400 and throw a few grand at it. 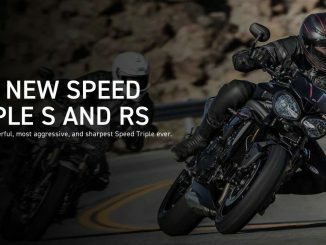 So while the Roadster definitely handles better than any mainstream Sportster before it (well, XR1200 owners might disagree) it’s still no sportsbike – but you knew that. Nope, the Roadster is a serious motorcycle, and a fun one at that. It’s part of the Harley-Davidson Dark Custom range, and really that’s a starting point for you to build the perfect machine for you – one which reflects your style and personality. Harley has a range of options and accessories available from the get-go for the Roadster to turn it from their bike into your bike, and there’s a new range of riding gear to go with it all too. Priced at $19,495 ride-away, I reckon the Roadster will bring over riders who would otherwise have bought a different brand. Sure, out of the crate it’s more expensive than many other options, but Harley-Davidson motorcycles generally retain a good proportion of their sticker price, so some will be encourage by better re-sale, while others will simply be attracted to the style, the thump and the cache which comes with the bar & shield logo. Now, at last, Harley has a bike which suits the café racer builder, a bike which is great fun out of the crate and with careful personalisation, a fine café racer.